Thread: bentley gtc replica ? 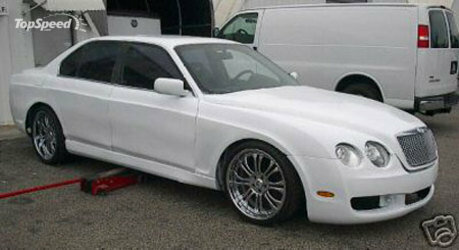 look at this finally a bentley replica but it looks like a scam. a very beautifully replicated scam. Re: bentley gtc replica ? 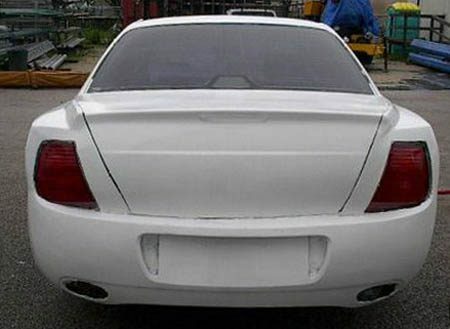 Looks like the only thing questionable is what does the back look like? And what donor is it based off of? Heck I'd swing for it If he was selling kits. I say that because I've always wondered about this car, but no one has attempted to do it. I'm almost tempted to do the same, but I guess finding a donor is the key right? I think it may be the same guy who made this kit a few years ago, except he was in Davie, FL but its not a far drive from where this guy is. Proceed with caution. He advertised many times a diablo roadster bodies on ebay. The price has been 4500 complete kit and shows interior. I contacted him and offered a trade for a Cobra body I had, not built by me. It was one I used to use before I made my own molds. He told me he could not swap even and wanted to swap plus 1500. I agreed, the body was just sitting here anyway. He wanted his 1500 up front. Well I too require a deposit because too many times I have layed up parts and then...customer no where to be found. So I sent the money. Told me I could pick it up in two weeks. Two weeks turned into, well I don't remember but 6 to 8 I would guess. I told him to be sure everything was ready and I would bring the cobra body and pick up the diablo. 15 hour round trip. I get there and the body is soo thin I could not believe it. Some areas are only one layer of about 1.5 oz matt. When I get there he says, "Interior is not included." After loading parts for a while he says, "That's it." My friend and I get to checking, we are short a trunk, roof inner and outer, a door shell, one door skin and front trunk. He hunts down the parts. I get a damaged roof skin. The front trunk is just the outer and it was broken in two and bonded back together. He never did find the door skin. This is Saturday, he said he will ship it next week. I let a week or so go by and inquire. He says he will ship it but wants the cobra chassis plans I told him I would send him. I told him to check his e-mail as I sent those before I left that morning. I offered those trying to be friendly not as part of the deal. As a matter of fact I did not offer those until we already agreed to swap. Anyway, a week or two goes by and I ask about the door skin. He cops an attitude because I had not resent the chassis plans. I sent the chassis plans again weeks ago and still no door skin. He goes by Uniquefibers, Vinny Cresante. I'm just sharing my experience with him. You will have to decide whether you want to do business with him or not.